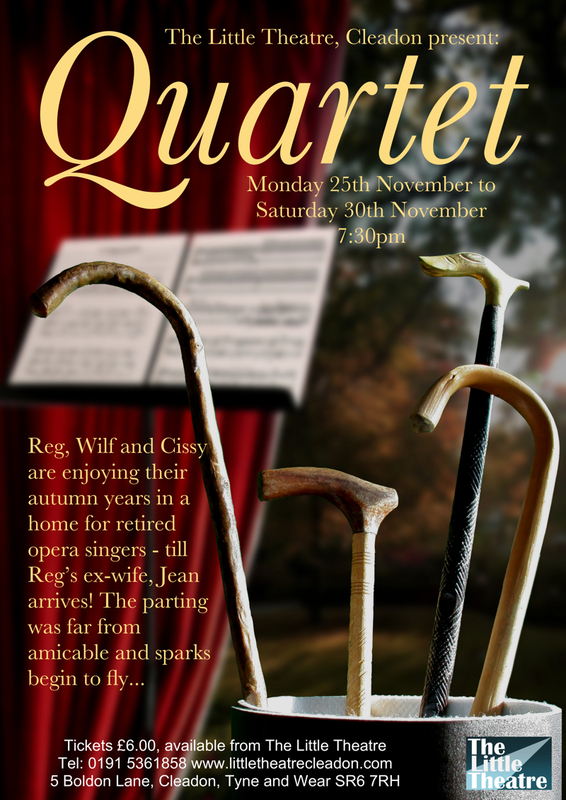 The upcoming November production is Quartet by Ronald Harwood. Opera singers Reg, Cissy and Wilf are enjoying a peaceful retirement until the arrival of Reg’s ex-wife the aloof Jean. Will they reform their quartet to perform their famous aria from Rigoletto again? Our production is directed with great aplomb and vitality by David Cooke a Westovian actor and director of considerable experience, but fairly new to Cleadon. He has a stalwart cast , familiar to Cleadon’s audience, Peter Calvert, Kath and Bill Dodds and Pat Thompson. They bring their own experienced, unique take to their roles. So, with robust dialogue, inspired direction and superb acting on offer the audience are in for a very entertaining evening. We are proud to announce that the Little Theatre Cleadon was nominated for a NODA award for its recent production of ‘Murder by Misadventure’. The first North Inaugural Youth & Performance ( NODA) Awards evening was held at Rainton Meadows Arena on 14th Sept 2013. The Little Theatre Cleadon made the final three and was presented with a framed certificate which is now on display in the Green Room. 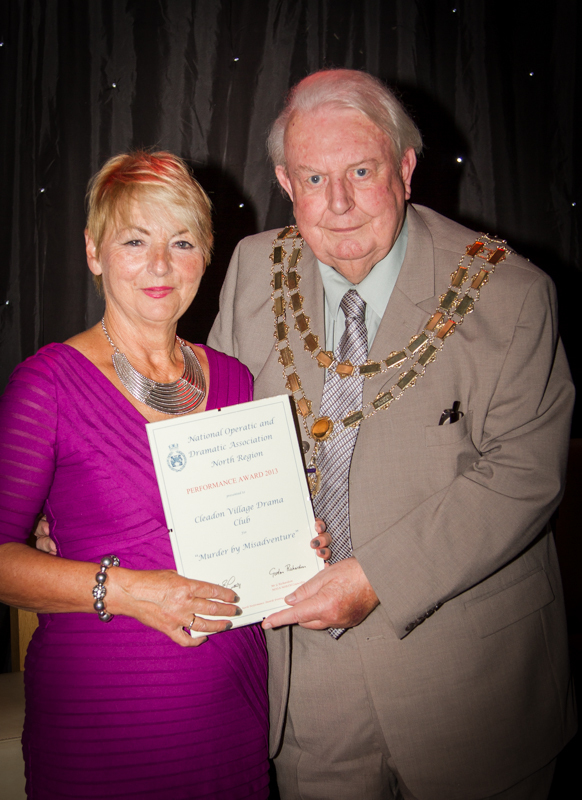 Chairperson Denise Wilson was presented with the framed certificate by NODA National President Mr Derek Grattidge. Many thanks to Stage Door Photography for permission to use this photograph. To see the full gallery of photographs taken on the awards evening visit the Stage Door Photography website by clicking here. For details of ‘Murder by Misadventure’ click here. The play was reviewed by Bob Lawson (click here for review).